That towel makes the bag. Go Green. Yeah, believe it or not, I didn’t have it built. I stumbled across it on eBay, and it was almost exactly what I would have ordered if I were to get one from Byron himself. It was new, and apparently one that somebody ordered, but something about it wasn’t right. I love it so far. I came a foot from jarring another one yesterday! Really wanting a utility bag, what are your initial thoughts? Do you carry? Push? I’ve had it for about a day, so it’s hard to say too much, but I think it’ll be exactly what I want. It seems very similar in weight to the bag I had previously. The strap system is a little different than what I was familiar with, but once I figured it out, it’s very comfortable carrying both single & double strap. The straps are very well cushioned, so it seems like it would be great for carrying. It does ride higher on the back than other carry bags I’ve used, but it is quite comfortable. When I walk, which isn’t as often as I’d like, I use a push cart more often than not, but I do carry sometimes (mostly in tournaments, because I’m self conscious about looking like an old man). It has comparable storage space to my old bag, and I think I like the layout of this one a little better. The two zippered pockets on the side seem more functional than what my old bag had. Another thing I noticed is that the material on the inside seems like it will make the bag quite water resistant. The main drawback I can foresee is that the opening really is smaller than a lot of modern bags. 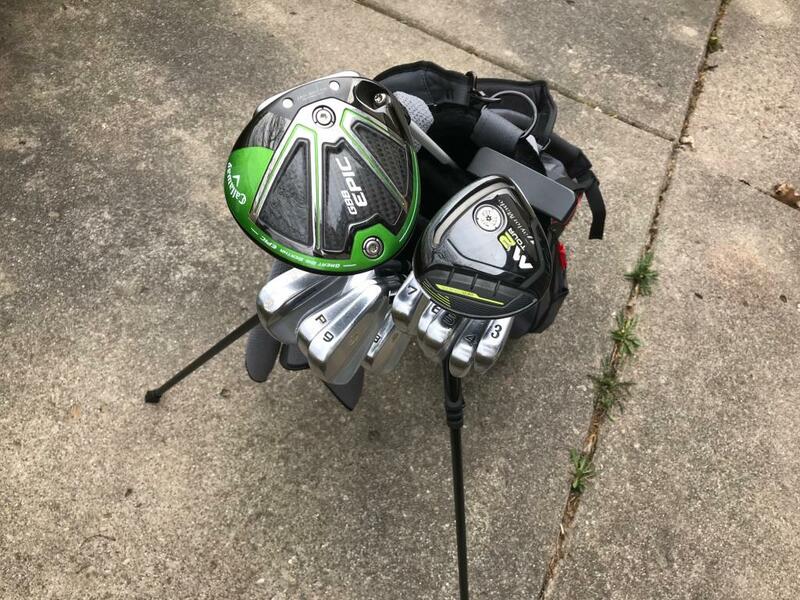 I think it’ll be okay for me, since I only have 3 headcovers, including the putter, but if someone has a bunch of fairway woods and/or hybrids, I could see it getting really crowded. From what I’ve seen, though, I think I’ll really like it. Great bag. Jones and Seamus make quality gear. Lots of comments on the Modus 120 that people either love or hate them. What did you come from in your iron shafts and how have you found the Modus so far? I think that last bit is rhetorical given you're making aces for fun. Congrats! I played X100 previously. When I was fitted last time, those were in the finals, along with the Modus3 120 and C-Taper. 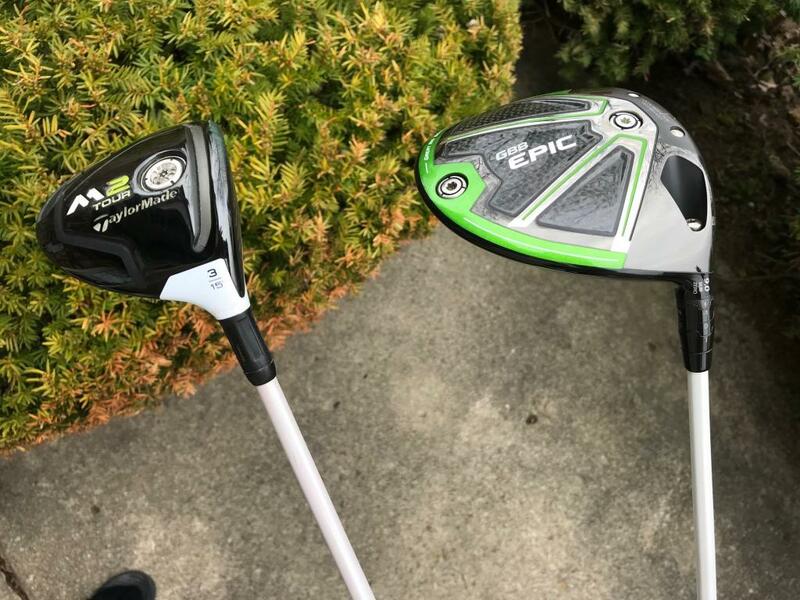 For me, the thing I like about the Modus3 120 is that I can really feel the clubhead throughout the swing, probably because of the soft handle section. They also have a stiff tip, which helps me keep height & spin down. I tried The Modus3 130 previously, and those were a terrible fit for me.with those, I couldn’t feel the head at all. The big thing that sold me, though, was the consistency of the flight. As I was settling on them, I hit probably 5 balls in a row where you could basically throw a king sized blanket over them, and the trajectory was virtually identical on each one. 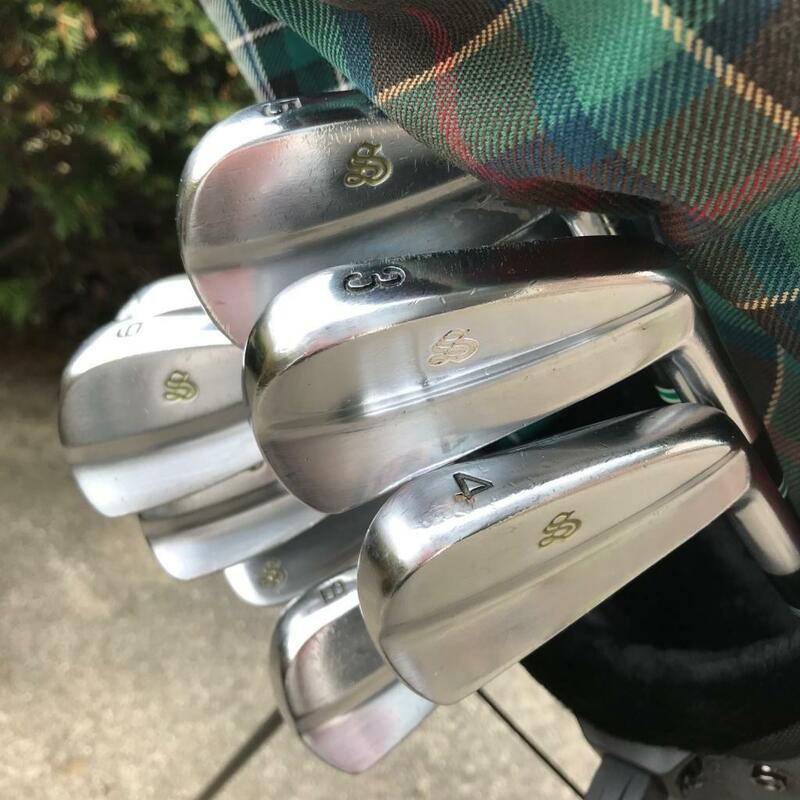 I feel like my distance control with these irons is the best I’ve ever had. I miss sometimes, of course, but I’m more confident that I know how far it’s going to go if I execute the swing, and I think that leads to better swings a lot of the time. May be time to change your username... doubt you have many 3 jacks with that beauty! Any experience with the Jones on a pushcart? My Original is a little bit of a disaster. 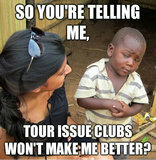 LOL, if only a new putter fixed everything. I have been working on some changes to my putting, mainly trying to fix an inside takeaway, and trying to stop lifting through impact. On short putts, I’m trying to pick a spot a few inches in front of the ball and rolling it over that, but I’m still not totally comfortable with that. When I pick a spot from behind the ball, I have trouble keeping that spot in view when I get over the ball. And I sometimes lose lose focus on speed when I’m doing that. I’ve seen enough success with the method that I think there’s something to it, and I’m planning to stick with it. I haven’t played a round with it yet, but I put it on my Clic Gear 3.5, and it sits on there nicely. The stand design is great for use with push carts and for riding—that was a beef I had with my Sun Mountain bag. The little foot mechanism that triggers the stand made it awkward to put it on a cart, because that got in the way, and I’d usually need to turn it sideways. The Utility stand mechanism involves part of the base of the bag pivoting, but unless you set it down in a way that you would to trigger the stand, it’ll sit straight up. The bag has a solid structure to it, too. I know the classic carry bag kind of collapses if you set it on the base. solid setup 3 jack looks great. 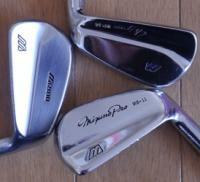 Great looking setup and beautiful irons. How much did you pay for the DH89? Did you buy it here? Whats up man! Bag looks great! Thanks! Hopefully we can get out again in June! You guys find a house yet? I played X100 previously. When I was fitted last time, those were in the finals, along with the Modus3 120 and C-Taper. 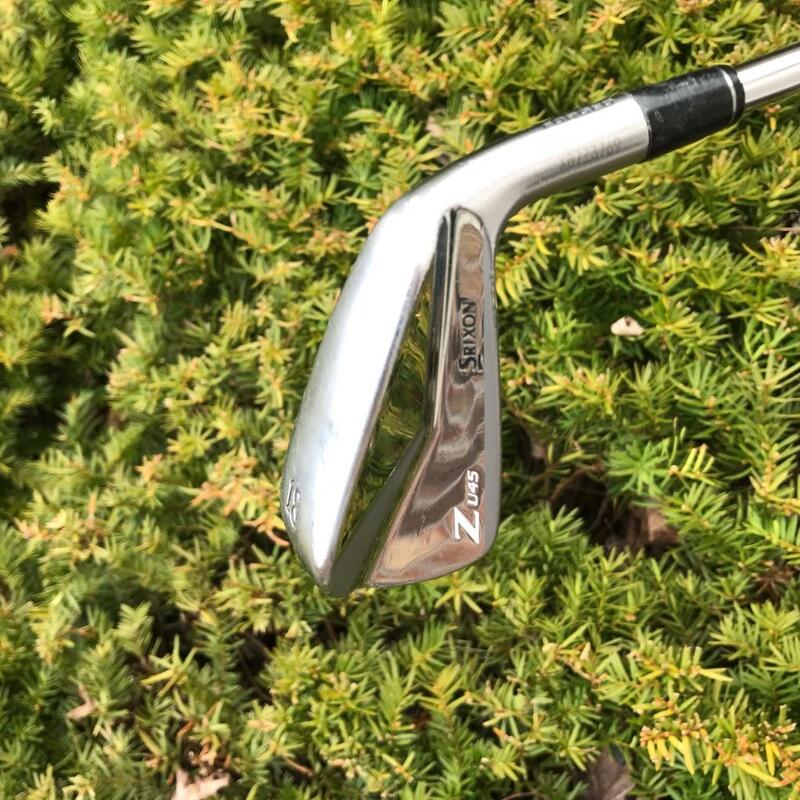 For me, the thing I like about the Modus3 120 is that I can really feel the clubhead throughout the swing, probably because of the soft handle section. They also have a stiff tip, which helps me keep height & spin down. I tried The Modus3 130 previously, and those were a terrible fit for me.with those, I couldn't feel the head at all. The big thing that sold me, though, was the consistency of the flight. As I was settling on them, I hit probably 5 balls in a row where you could basically throw a king sized blanket over them, and the trajectory was virtually identical on each one. I feel like my distance control with these irons is the best I've ever had. I miss sometimes, of course, but I'm more confident that I know how far it's going to go if I execute the swing, and I think that leads to better swings a lot of the time. Thanks for the detailed reply. I haven't hit the 120 but they have piqued my interest. Have played x100 and currently play S300. 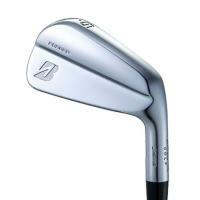 I may well get one for my 6 iron fo S&G. That's an intimidating setup! 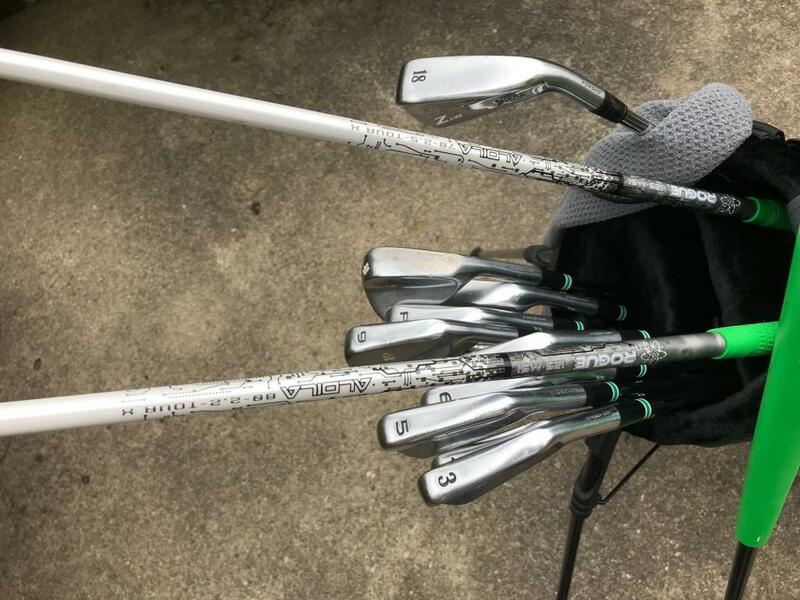 The Scratch irons are super clean! -on a cart, it’s great. Fits any setup fine, and all the pockets are easily accessible. No issue getting clubs in and out, despite the opening that’s smaller than a lot of bags. -I also walked 18 today, carrying in mist and rain of varying intensity for about 2/3 of the round. 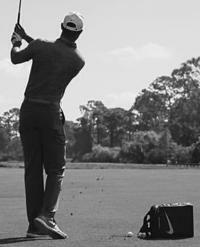 It’s a great carry bag. Straps are comfortable, and it rides nicely on the shoulder & back. The rain hood is nice in that it is actually pretty easy to put on without much of a struggle like I’ve seen with other bags. And everything inside the pockets and the hood stayed dry. With the hood is the first time the smaller opening became an issue. It was a little hard to get clubs back in the bag. I was carrying an extra 3 wood for some testing, which made things more crowded than usual, but it was a bit of a struggle. That said, When I carry, I’m usually pretty exhausted after the round, but it really wasn’t as bad today. Overall, I really like the bag so far. Great set up, and I especially love the irons. 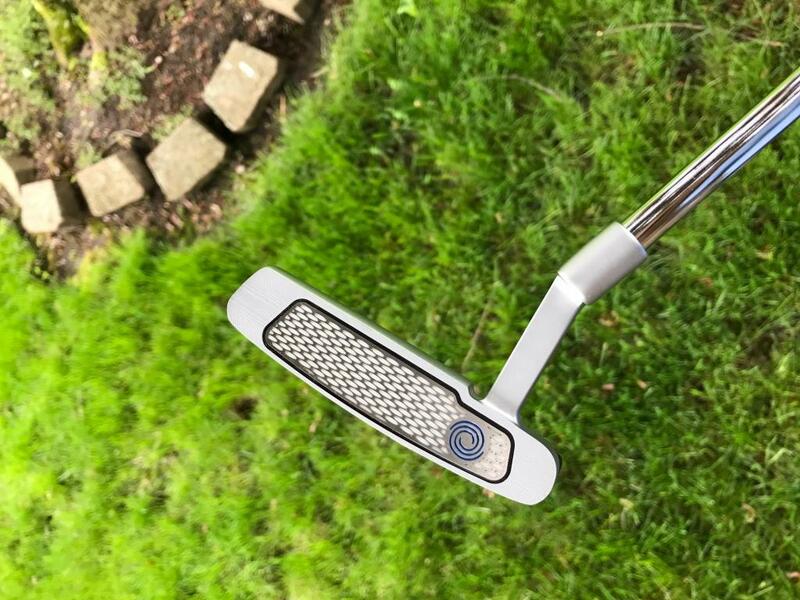 I absolutely love the look and feel of my Byron, but after a struggle in a recent tournament where I missed 3 putts inside of 3 feet, including one that couldn't have been much longer than a foot & a half, I decided I wanted to give some other things a try to see if I can improve my short putting without messing up distance control on longer putts. I've tried practically every style of putter around -- blades, mallets, arm lock, belly, counterbalanced, etc. -- and I've putted left hand low for the last few years. From where I was when I was using a standard grip, I have definitely made some improvements (from terrible to pretty bad), but I still struggle with confidence over short putts, especially in matches and tournaments where it "matters". 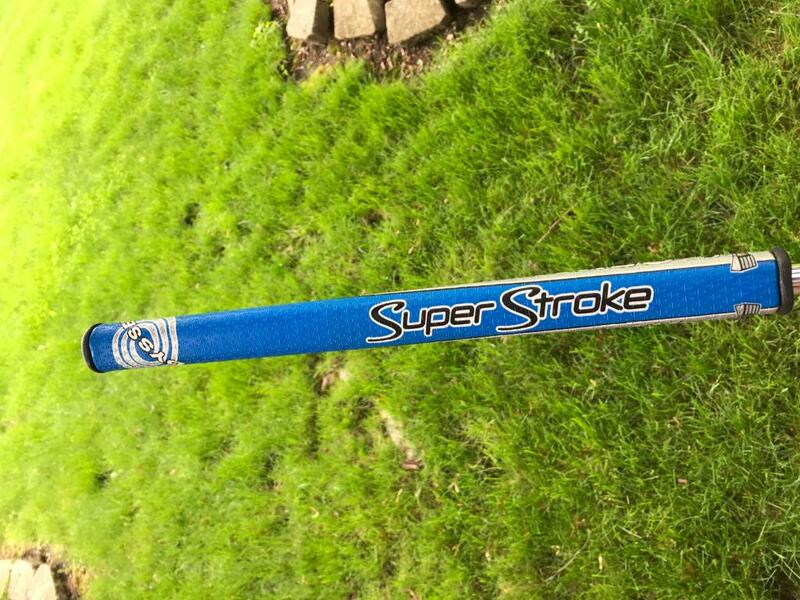 I had used a counterbalanced putter for a while before, but it was a standard-length putter, so the weight in the grip was pretty close to my hands. 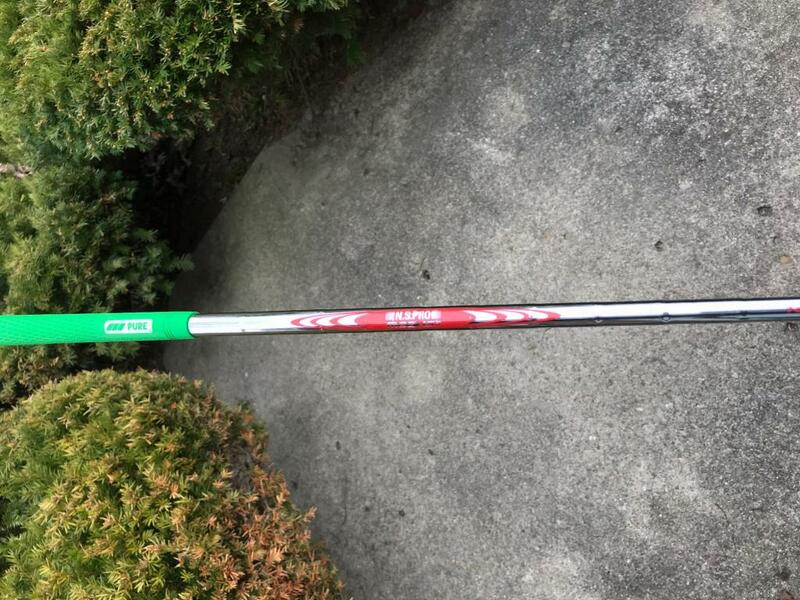 I've seen some guys on tour, and recently a guy I played with in a tournament who have had success with longer counterbalanced putters, where the grip weight is more above your hands, so I figured that might be worth a shot. 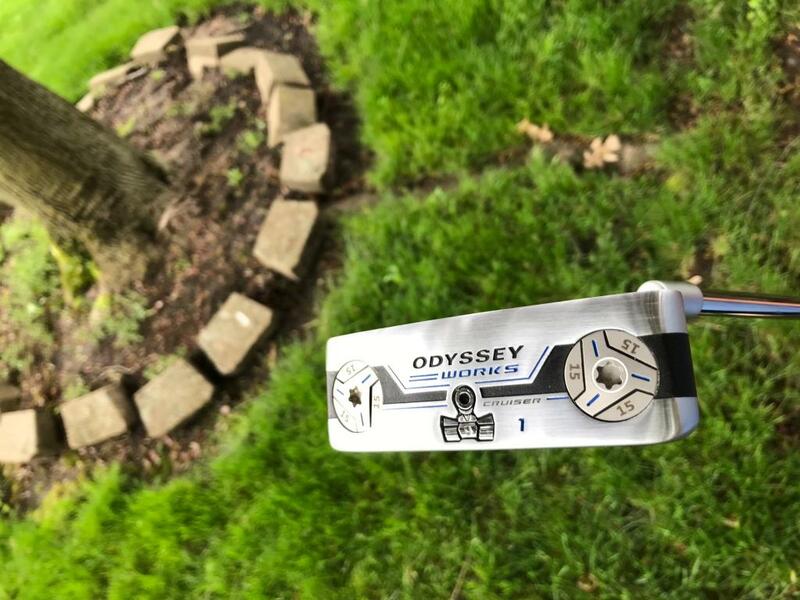 I saw a 38" Odyssey Works Tank Cruiser #1 from Callaway Pre-Owned for what I thought was a pretty good price, so I decided to pull the trigger and see if it would possibly be the answer I'm looking for. 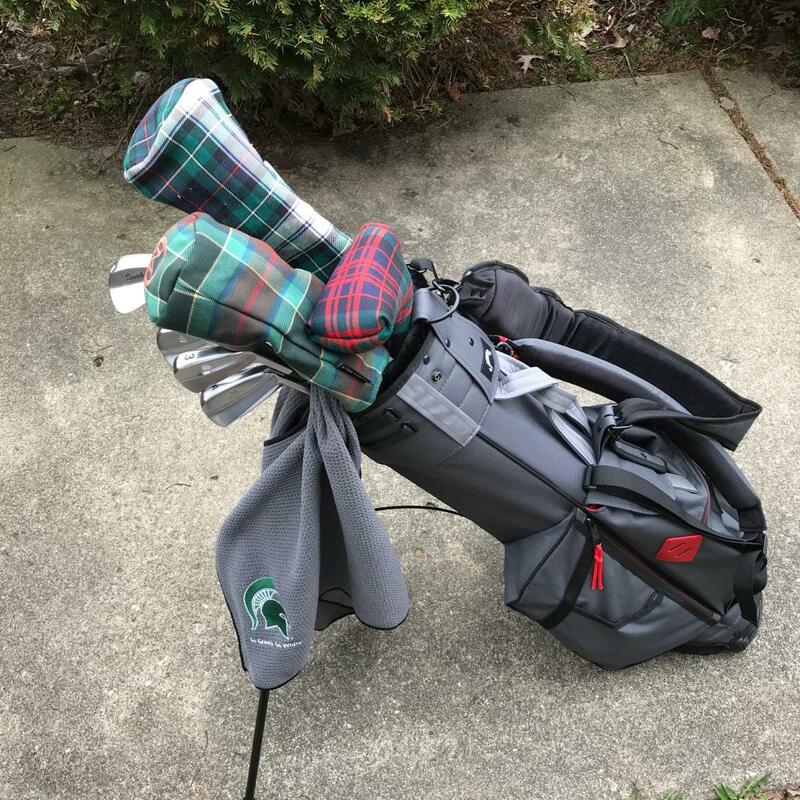 I was leaving for a Northern Michigan golf outing last Wednesday, and it was delivered to my office that day. I rolled it a few times on the carpet, and threw it in the car, thinking I'd mess around with it when I got back. The greens on the courses up there were on the slow side compared to what I've been playing on in my neck of the woods, and for the first 3 rounds, I barely got anything to the hole using my Byron. The greens on the 3rd course were probably the slowest of the 4 courses we played, and a lot of guys were saying they couldn't hit it hard enough to get it there. 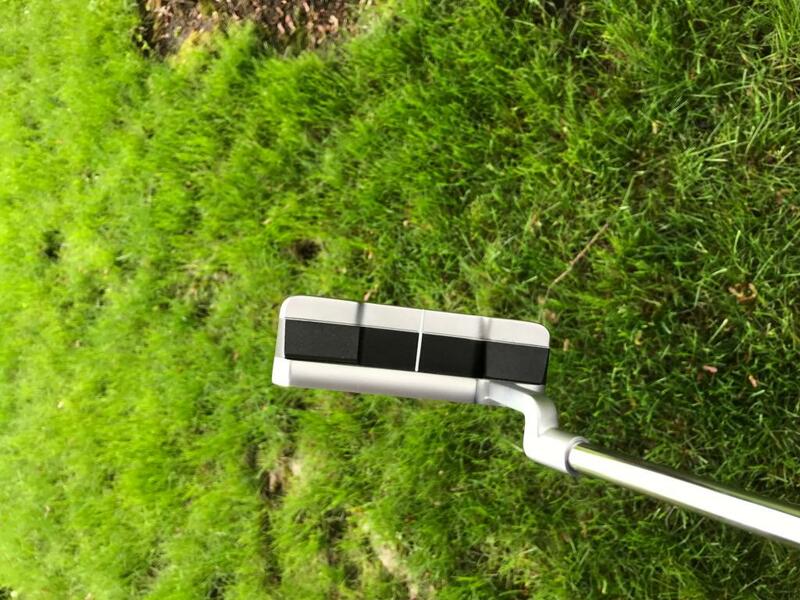 For the last day, I figured I may as well throw a heavier putter into the bag and maybe that would help me give myself a chance to get the ball to the hole and make some putts. It was raining a bit, and I'd been a little overserved the night before, so I didn't bother going to the practice green before the round -- I did hit maybe 3 putts to get a feel for speed on the first hole we played, but that was it. The greens were definitely the fastest we'd been on over the 3 days, but still a little slower than on courses near home. 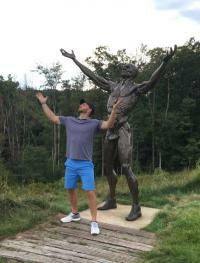 My first putt was a pretty ticklish downhill 12-footer for birdie, and I got that to drop in with perfect speed, and I proceeded to make just about everything I looked at. I didn't have anything close to a 3 putt, and I saved probably 4 or 5 pars with putts from 6-12 feet, and rolled in a 25 footer for a birdie. Despite a case of the pulls with my irons that resulted in hitting only about 6 or 7 greens, I shot even par, and I probably only had about 25 putts on the day, which is unheard of for me. I understand there's a chance this was just a honeymoon, but this thing made one **** of a first impression. It's definitely going into the bag for a longer look. 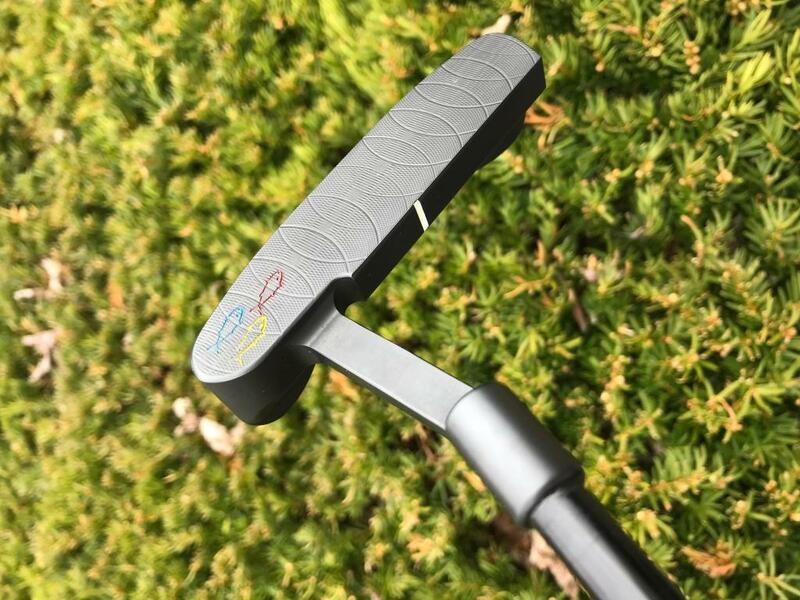 It's not nearly as cool as the Byron, but I'd putt with a putter that says "I Love Nickelback" all over it if it made putts. Those SB-1s are gorgeous, and props for the Big Lebowski reference. Put a 2” extension in the Byron and a 15” winn counterbalance grip. 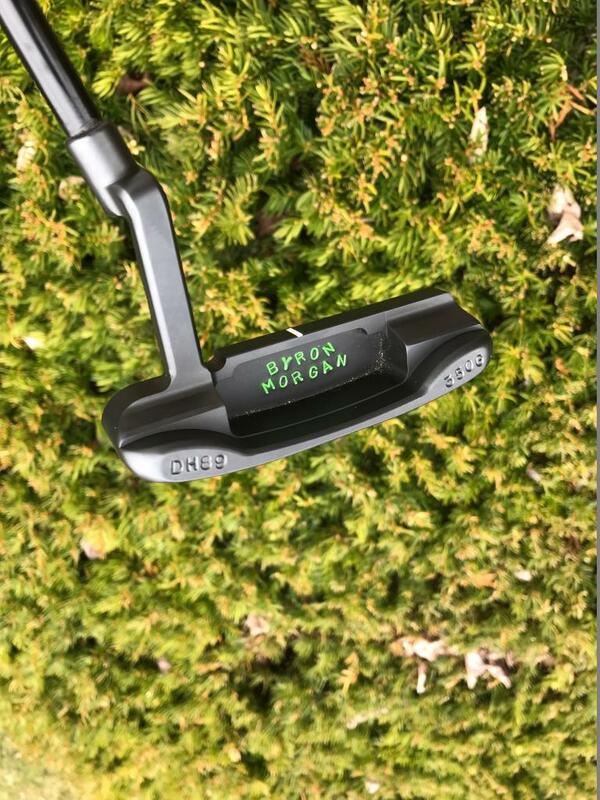 I do it for all my putters now after years with a tank 1w. 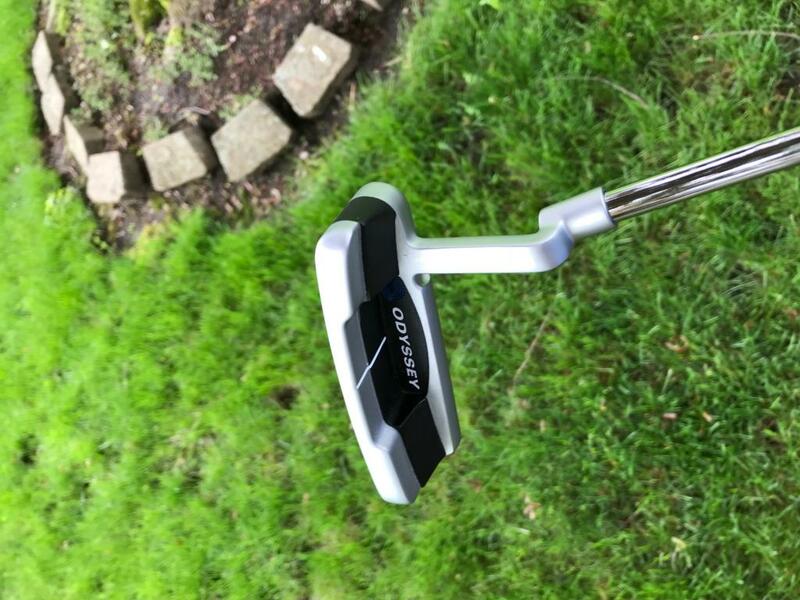 That got stolen and I couldn’t go back to “normal” length/balance putters because my pace and comfort level never showed up. The tank is heavier however so is the superstroke counterbalance grip. Trust me, you’ll probably will like this option even better than the tank. A few of my friends have also tried. Give the same feel but not the same overall heft. 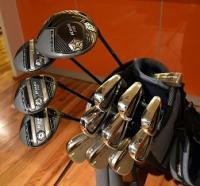 I understand resale but I noticed you’ve already changed out the shaft? 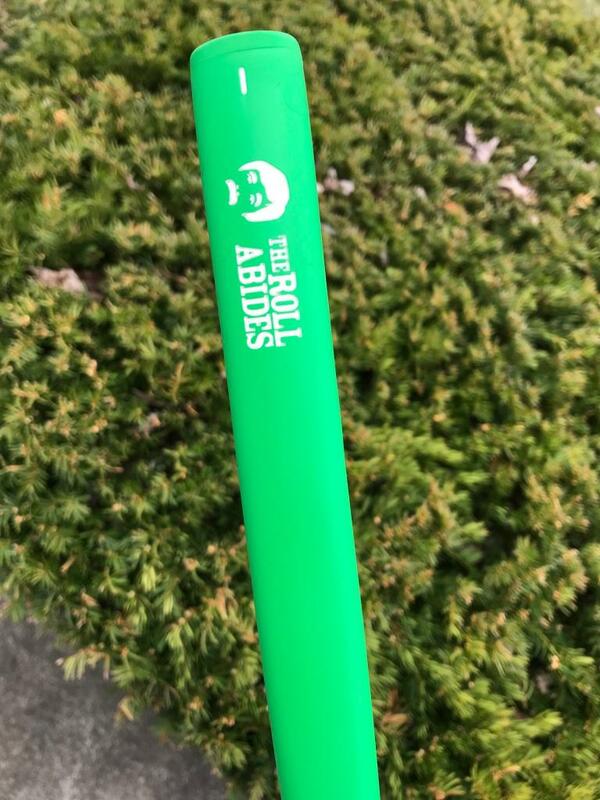 The extension can be easily removed and regripped if you want to sell.